Please ensure your email address is correct or we won't be able to respond. Thanks! This is a large, fully furnished, sixth studio apartment. The condo consists of an open plan living/kitchen/sleeping area, a bathroom and a balcony. The kitchen area is of a European style and is fully equipped with utensils, pots, pans, cutlery etc; as well as having an electric hob, extractor fan, kettle, toaster and refrigerator. The living / sleeping area has a double bed, large double wardrobe and bedside table, along with a sofa, coffee table, display cabinet and flat screen TV and DVD player. There is also access to the balcony, which comes complete with balcony furniture, via large sliding doors. The bathroom, which is fully tiled, features a toilet, basin unit with storage underneath, a bathtub and a separate shower. The apartment also benefits from a feature ceiling with concealed dimmer lighting, tiled flooring throughout, curtains, down-lighting and air conditioning. 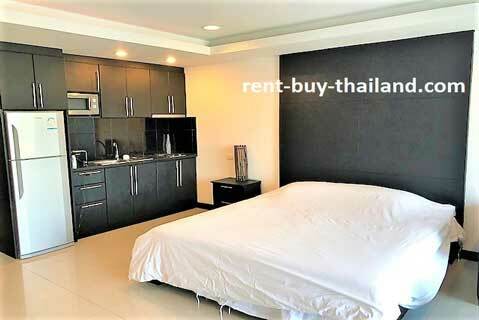 Platinum Suites is located in a peaceful location in Jomtien, just 1,200 meters to Jomtien Beach. 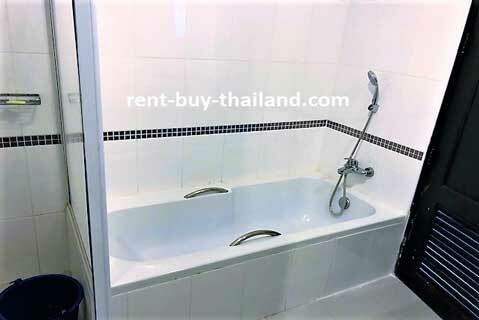 Being close to Thepprasit road Pattaya this is in a prime location of Jomtien, close to the famous Thepprasit Night Market, and the main Baht Bus route between Jomtien and Central Pattaya. The complex benefits from a communal swimming pool, fitness center, WiFi, restaurant, laundry service, covered parking, key-card entry, CCTV and 24 hour security. There are plenty of shops, bars and restaurants along Thepprasit Road and Pattaya Night Market with in walking distance. 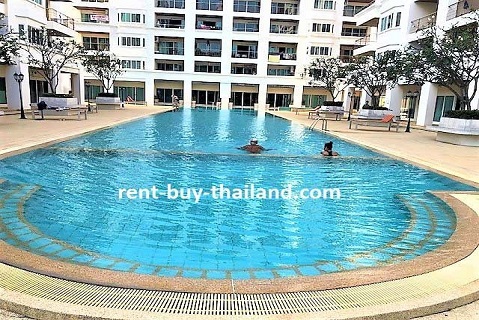 Condo for Rent Jomtien - Pattaya condominiums sale – Easy payment plans available, no credit check needed buy your condo with ease. Other condos for sale in Pattaya and around the area available, please inquire for further details.